Compassionate support and strategic insight for your divorce and family law needs Few legal issues feel as personal as those involving your family. At the Ramirez Law Firm, we focus our practice exclusively on guiding individuals and families through Florida family law, divorce and related matters. 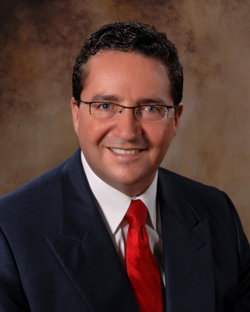 More than 20 years of legal experience Led by seasoned Florida family law attorney Carlos Ramirez, our team of lawyers, paralegals and support staff provide individual attention to every client. We are dedicated to helping you obtain the best possible outcome in your case. Family law matters can be complex, involving your children, your finances, and your current and future plans. The decisions you make in a family law case can have an immediate and lasting impact on you and the people you love. Hiring the right family lawyer in Tampa can help ensure the best possible outcome in your case. At the Ramirez Law Firm in Tampa, our Florida family law attorneys represent clients in cases involving all aspects of matrimonial and family law, including: -Divorce -Child Custody and Visitation -Child Support -Collaborative Family Law -Spousal Support -Domestic Violence Injunctions -Dependency and Termination of Parental Rights -Alimony -Distribution of Marital Assets and Liabilities -Modification of Prior Judgments -Paternity Comprehensive legal counsel We provide experienced, compassionate legal representation on matrimonial and family law issues in Tampa and throughout the surrounding communities. Our team of legal professionals focuses on protecting your rights under the law and looking out for your best interests in the long term. No family law case is too simple or too complex for us to handle effectively.